GEO Associates provides litigation support services and expert witness testimony for civil and criminal investigations and insurance industry cases (both plaintiff and defendant) that involve Groundwater Pollution and Data Analysis, Forensic Geology and Geophysics, Hydrology Modeling, and Forensic Meteorology including Weather Event Re-Construction and Force Majeure cases. GEO Associates can assist attorneys and insurance claim professionals in obtaining, analyzing, modeling, and interpreting the correct geophysical/geological and meteorological data for their case. Specializing in Industrial Air Pollution and Groundwater Contamination cases. GEO Associates uses the latest approved Regulatory EPA and USGS numerical modeling software to map the concentration levels and transport of air and groundwater pollutants. GEO Associates numerical modeling expertise, combined with their advanced knowledge of meteorological, geophysical and geological data gathering and processing, provides strong support to the attorney and client for cases involving Air Pollution, Reduced Visibility, Severe Storms, Groundwater Contamination, Flooding, Wind Damage and Hazardous Material Spills and Releases to Air and/or Water, which result in accidents, contamination of aquifers, toxic air, property damage, personal injury and death. Dr. David L. Mitchell is an authority on the numerical modeling of geophysical and atmospheric data with a Doctorate in Meteorology from Purdue University. 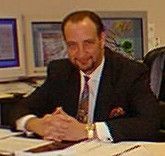 Dr. Mitchell has over 28 years of technical modeling experience in industry and consulting. His business experience includes various research, project management and technical consulting positions with Conoco, Getty Oil Company, Texaco, Tenneco, British Petroleum, Leviathan Gas Pipeline LLP and IBM Corporation. Dr. Mitchell has extensive knowledge of Forensic Meteorology and has published his research results on the modeling of atmospheric stability and convection. Dr. Mitchell is an expert in the field of Air Pollution Meteorology and Groundwater Pollution Modeling with over 28 years of experience with projects and litigation cases requiring the mathematical modeling of wave propagation in porous elastic media, geophysical and geological 2D and 3D reservoir modeling, atmospheric fluid dynamics and air dispersion modeling. Dr. Mitchell is a Licensed Geophysicist in the State of Texas, Certified by the Texas State Board of Geoscientists and is an expert in the areas of Geophysical Modeling and Geological Modeling for the characterization of reservoirs and the migration of fluids. He is an expert in the field of reservoir characterization and modeling with extensive knowledge of groundwater modeling techniques and the transport of contaminants within aquifer systems. He has extensive litigation experience with the Forensic Geosciences and has provided forensic litigation support for criminal and civil investigations and insurance cases involving accidents, release of toxic pollutants, personal injury and property damage. GEO Associates has provided technical support and expert testimony on issues of scientific data and mathematical modeling to the Petroleum Industry, the Insurance Industry and the Legal Profession in the area of Forensic Geosciences. Forensic Meteorology litigation cases include providing expert witness support and testimony for Meteorological Data Analysis, Air Pollution Analysis and Modeling and Weather Event Re-Construction cases both Domestic and International. Forensic Geosciences litigation cases include groundwater modeling and analysis and reservoir characterization for the migration of fluids. Litigation support services and expert witness testimony for civil and criminal investigations and insurance industry cases (both plaintiff and defendant) involve Groundwater Pollution and Data Analysis, Forensic Geology and Geophysics, Hydrology Modeling, and Forensic Meteorology including Air Quality, Weather Event Re-Construction and Force Majeure cases. Dr. Mitchell is a member of the American Association of Petroleum Geologists, the American Meteorological Society, the Air and Waste Management Association, and the National Association of Environmental Professionals. Dr. Mitchell is also an Associate Member of the American Bar Association with affiliation with the Litigation Division and is a Certified Geophysicist and a Licensed Professional Geoscientist. 1) Multiple cases involving Air Dispersion Modeling of Chemical Pollutants/Particulate Matter, and Weather Wind Profile analysis in defense of petrochemical facilities being sued by surrounding neighborhoods due to Hazardous Chemical Releases. 3) Re-construction of Weather Conditions and Wind data related to the occurrence of Dense Ground Fog and Reduced Visibility conditions resulting in a major Multi-Vehicle Freeway Accident and personal injury. 5) Numerous Forensic Meteorology cases involving Force Majeure and the Re-Construction of Weather Conditions occurring at the time of an Accident, or Criminal Action. 6) Modeling and Analysis for multiple cases involving Leaking Railway Cars and Industrial Tanks creating Hazardous Spills and Releases of Hazardous Pollutants to both Air and Aquifers. 7) Numerous cases requiring Air Dispersion Modeling Analysis to determine concentration levels of Particulate Matter (PM10, PM2.5) during industrial operations and accidents. Dr. Mitchell is a Licensed Geophysicist in the State of Texas, Certified by the Texas State Board of Geoscientists and is an expert in the areas of Geophysical Modeling and Geological Modeling for the characterization of reservoirs and the migration of fluids.